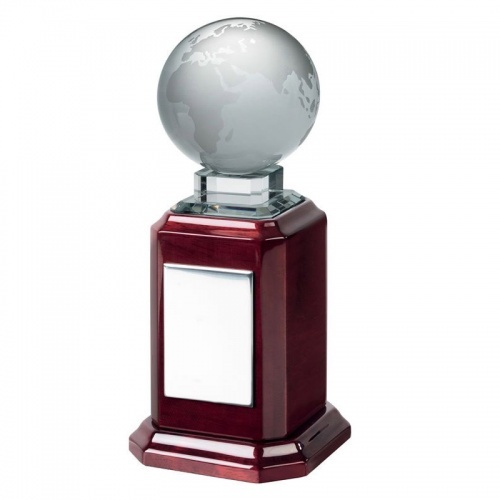 These superb awards trophies are perfect for any event or achievement with an international or global aspect. They feature a detailed crystal globe set on a clear glass collar and mounted on a tall, quality piano wood base. The polished finish bases include a nickel plated brass engraving plaque and these awards are offered with low cost engraving. 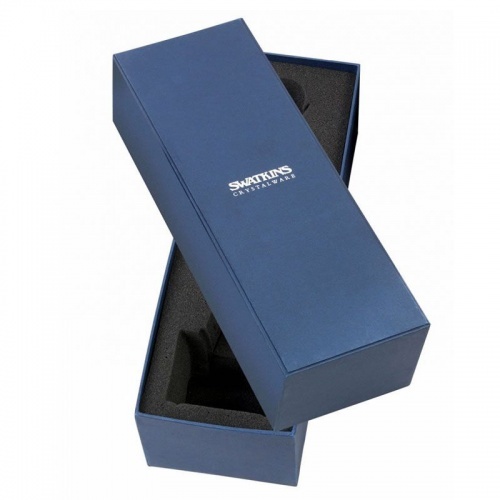 In two sizes, these crystal globe awards are supplied presentation boxed.